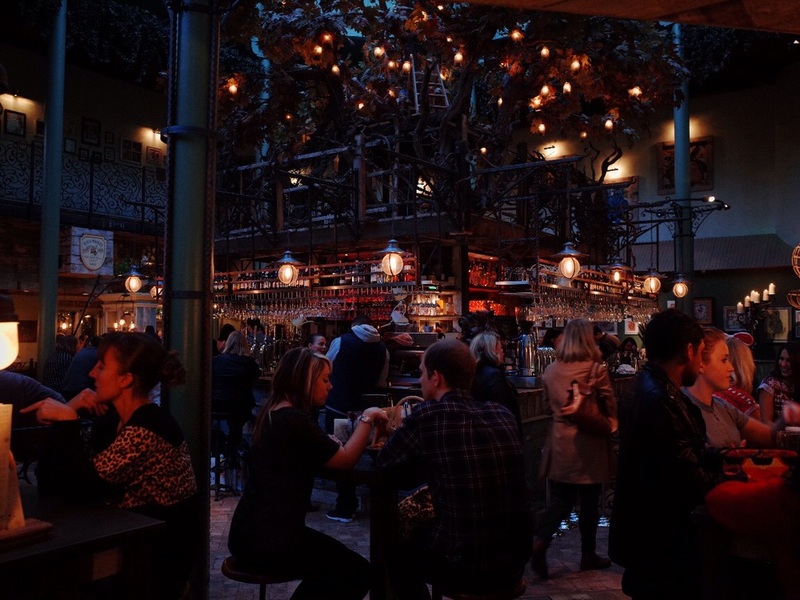 New bars and restaurants are always popping up around Newcastle, The Botanist is one of the latest. Located in the recently renovated Monument Mall, above Jamie’s Italian restaurant. I visited the establishment on Sunday with my good friend Ben who was up from London for Christmas. We entered through a small doorway and were greeted by a couple of bouncers and a member of staff. It was derby day in the Toon and I'm presuming that the bouncers were there to keep any potential trouble makers at bay. The restaurant and bar is on the upper levels of the Monument Mall which meant climbing about half a dozen tiers of stairs. It’s not a difficult walk but there is a lift that will take you all the way to the top if you don't fancy it. The branding and decor is well developed and superbly executed. Wrought iron and worn wood is featured throughout the interior and is well balanced. The attention to detail is commendable and the space has been transformed into a trendy botanical garden. The bar is a real centrepiece with a very convincing tree at it’s core. The glass domed roof allows plenty of natural light which complements the surroundings. 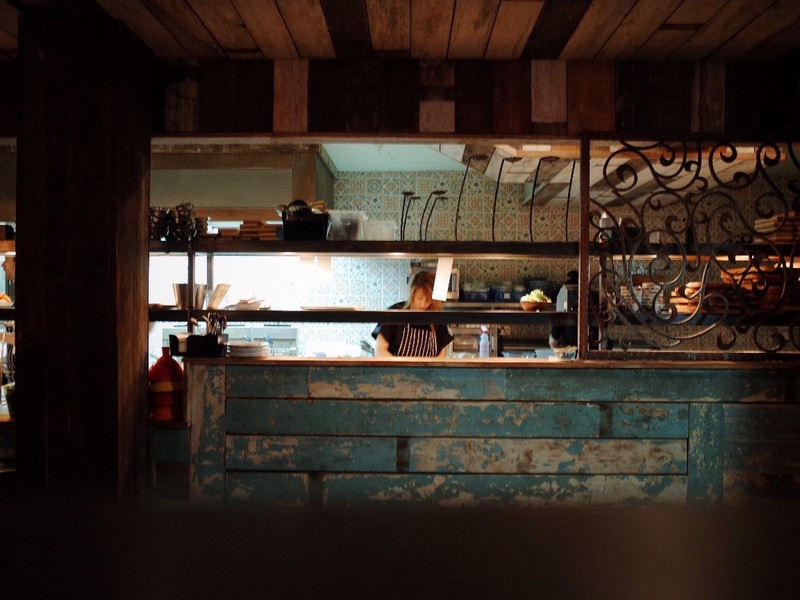 There are plenty of tables and seating in the way of informal stools at high tables that you would be equally happy standing at. We found a table in the corner which had a great view of the bar and kitchen. Food being prepared in the busy kitchen looked delicious. As it was Sunday, there were a lot of roasts flying out but there were also platters of cold meats, impressive meat and veg skewers being delivered on neighbouring tables. Shortly after sitting down a friendly looking waitress came over to take our order. We decided on some cheesy chips and spicy chicken wings and Ben had a beer whilst I went for a coffee. We we’re so engrossed in conversation, mostly about the incredible decor that I’m not sure how long the food took but I don’t remember it taking long. The wings were presented in a little case which was quite cute and they smelt divine. As light bites go, there was enough for us to share. We cleared both dishes, but found the wings to be quite salty to taste and made a comment to our hostess who said she would pass the message to the chef. By this point the match had finished, the light had faded, shops had closed and as a result the bar had become much busier. The filament bulbs around the bar and tables and flickering candle lights in the tree made the place look as though it belonged in a fairytale. It was very pretty. Staff didn’t seemed to be at all phased by the influx of customers and the level of service remained consistent. We stayed for a few more drinks before heading upstairs to check out the smoking terrace. A great views of Greys Monument, Grainger Street and Grey Street can be had on the open top terrace which will become a favourite for many in the summer. Overall, we had a very enjoyable time at The Botanist and I will definitely be heading back there soon. I must also mention the brilliant live musician who was playing whilst we were there. His name is Andy Usher and his sublime guitar playing combined with smooth vocals really topped off the experience. Check out some of Andy Usher's work on YouTube here.